Super Lawyers is a rating service of outstanding lawyers from more than 70 practice areas who have attained a high degree of peer recognition and professional achievement. Salvatore has been selected by Super Lawyers in 2015 as a leading elder law attorney in the New York Metro area. The National Academy of Elder Law Attorneys, Inc. (NAELA) membership is comprised of attorneys in the private and public sectors who deal with legal issues affecting people as they age and people with disabilities. New York State Bar Association has a membership of more than 77,000 lawyers, representing every town, city, and county in the state, the New York State Bar Association is the oldest and largest voluntary state bar organization in the nation. As a link between the state and the individual lawyer, as a force for constructive change, and as a chief exponent of the rights and liberties of the public, the New York State Bar Association stands proud and capable, ready to serve. The Westchester County Bar Association is a not-for-profit corporation with a voluntary membership of more than 2,000 lawyers. The purpose of the Association is to promote the ends of justice, to cultivate jurisprudence, to afford access to the courts to all who seek redress, to facilitate the administration of justice, to elevate the standards of integrity, honor, competence and courtesy in the legal profession, and to participate with all members of society in seeking and perfecting the common good. 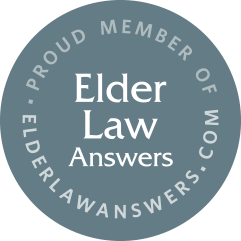 Since 2000, ElderLawAnswers has been the Web’s leading online destination for reader-friendly news and explanations of Medicaid coverage of long-term care, Medicare benefits, estate planning, guardianship, and other legal issues affecting seniors. In addition to this storehouse of free information, we offer easy access to a nationwide network of pre-screened attorneys who focus their practices on helping the elderly. The Hoarding Disorder Resource and Training Group has been established to help address the emotional, physical, social, financial, and legal challenges that accompany hoarding disorder. Well-meaning family members, municipalities, the legal system, and healthcare professionals struggle to address the challenges presented by people who hoard. The staff at Coxe & Graziano Funeral Home are caring and experienced professionals who understand that each family is unique and has personal requests and traditions. These requests and traditions are of utmost importance to our staff of licensed funeral directors.